Complex technologies and the need for sustainable solutions have led to more sophisticated building and engineering services. Unless the cost consultant is also an engineer with specialist expertise and interest in the construction of sustainable environments, it is difficult to assess a complete or incomplete design and cost it accurately. This is where WTP has an important edge. Our team has proven ability in providing early cost estimates prior to the design being developed. Drawing from our extensive database using control quantities, we can get things moving in the right direction from the outset. The production of building and engineering services designs is often a slow process and can account for up to 50% of total construction costs. 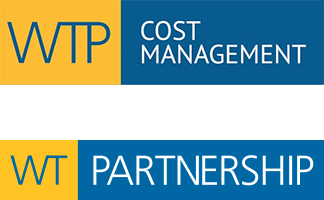 Our cost plans are written in a way that clients and engineers find equally understandable. They follow a recognised structure throughout, making it possible to review the design and cost plan holistically and understand all the implications if change is suggested. We recognise that it is essential that building and engineering services are cost and value managed to the same degree as the architectural and civil structural engineering elements. Our team evaluates all items technically and commercially, particularly where co-ordination is needed. Our presence will provide total and pro-active cost and value management through all phases of the projects life. Our role does not end once a contractor has been appointed. We maintain the same integrity whilst agreement of valuations, variations and final account are settled. This final information is a key component of our database. Considerable savings often can be made on building engineering service design and installations. Our approach is not always about reducing the CAPEX. The OPEX budget is equally important when systems are assessed on a ‘whole of life’ basis. Identify whole of life cycle value solutions. We work within the financial limits of the project to address the need for sustainable design. At any stage we can confirm that both the consultant’s brief and engineers’ specifications and drawings meet the client’s requirements and expectations. We review contractors’ proposals on the same basis and ensure they also meet industry standards and criteria for flexibility and maintenance. At all times, our approach aims to minimise risk for our clients. Our team has extensive experience in procurement of labour and material packages, individually or collectively, based on years of collaboration with main contractors, mechanical and electrical contractors, and manufacturers. Advanced procurement of long lead specialist plant and equipment prior to a contractor’s appointment can be fundamental to the success of a project’s delivery. Providing appropriate tender documentation in a form that respects the resource and commitment expected by today’s contractors and manufacturers is essential. We can provide bills of quantities for building and engineering services if required. We can provide an evaluation of a building and engineering services system’s condition prior to the purchase of a property. Dilapidation reports are carried out for lessors and lessees alike prior to occupancy, during occupancy and at termination of lease agreements. An asset register can provide clients with a unique combination of information from a single source. In addition, we can confirm the net present value cost (NPV) of building and engineering services system for the life cycle fund.